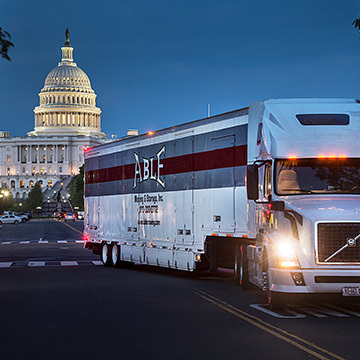 As a large, independent moving and storage company, Able Moving & Storage, Inc. performs “pack, load & haul” relocation services, with dedicated crews for specific accounts, from point-to-point throughout Clifton VA and beyond. By choosing Able Moving and Storage as your professional corporate relocation company, you can — without a doubt — expect a very secure, highly customized, and complete relocation service for your family and/or employees. We are committed to providing perfectly organized corporate relocation services from beginning to end, with a focus placed on personal customer care. As a moving and storage company that has been in operation for over a quarter of a century, we are able to call on immense expertise and resources in the coordination of both long distance and local moves of all sizes. You can rest easy, knowing that Able Moving & Storage will make your employee’s relocation process in Clifton VA comfortable, efficient and easy.